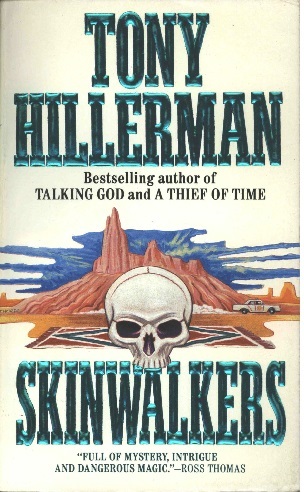 This is the Harper Paperback edition of Tony Hillerman's Skinwalkers, the seventh book in his Navajo Mystery Series. This edition is an inexpensive paperback printed by Harper Paperbacks, a division of Harper & Row. It was published in New York City, New York in 1990. The cover was designed by Peter Thorpe. Format: Paperback, 17.2 x 10.5 cm.